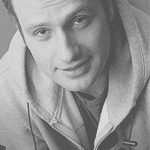 Andrew Clutterbuck was born in London, the son of an English civil engineer and a South African nurse. His family moved to Hull when he was 18 months old, and then to Bath, Somerset when he was eight or nine. He attended Beechen Cliff School, where at age 14 he had his first acting role as the Artful Dodger in a school production of Oliver!. He spent a summer at the National Youth Theatre in London and became interested in acting as a career. 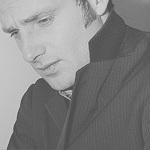 After leaving school, he studied at the Royal Academy of Dramatic Art (RADA) drama school and began to use “Andrew Lincoln” as his stage name. In 1994, Lincoln made his first on-screen appearance in “Births and Deaths”, an episode of the Channel 4 sitcom Drop the Dead Donkey. In 1995, soon after finishing drama school, he made his breakthrough with his first major role playing Edgar “Egg” Cook, one of the leading characters in the acclaimed BBC drama This Life. He went on to star in a number of British television series and dramas such as The Woman in White, The Canterbury Tales, and Wuthering Heights, most notably as probationary teacher Simon Casey in the successful Channel 4 sitcom Teachers. He also had a lead role as university lecturer and psychologist Robert Bridge in Afterlife, and starred in the Sky 1 series Strike Back with Richard Armitage in 2010. Lincoln appeared in several films such as Human Traffic and Gangster No. 1 and starred alongside Vanessa Paradis in Pascal Chaumeil’s Heartbreaker. In particular, his role as Mark in the 2003 film Love Actually gained him wider recognition. In addition, Lincoln has performed in plays, including Hushabye Mountain in 1999, the widely praised Blue/Orange in 2000 and 2001, The Late Henry Moss in 2006,the Parlour Song in 2009, as well as radio productions. He has done voice-overs for documentaries, advertisements, and government campaigns. He directed two episodes in the third series of Teachers for which he received a BAFTA nomination for Best New Director (Fiction) in 2004. Andrew Lincoln narrates the fictional textbook, Quidditch Through the Ages, written by fictional writer Kennilworthy Whisp, created by JK Rowling. 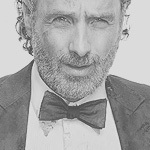 In April 2010, Lincoln was cast as Rick Grimes, the protagonist of AMC’s live-action adaptation of the post-apocalyptic horror comic book television series The Walking Dead.Grimes is a sheriff’s deputy who awakens from a months-long coma in the midst of a violent zombie apocalypse caused by an unknown pathogen. He becomes the leader of a group of family and friends who are forced to relentlessly fight off flesh-eating zombies and hostile humans. The drama has the highest Nielsen ratings in cable television history, including the most 18- to 49-year-old viewers of any cable or broadcast television series during its third through sixth seasons. In 2010, Lincoln signed up for the show for a potential six years. He has since renegotiated a deal for two further seasons. 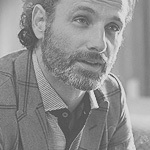 In May 2018, it was reported that the ninth season of The Walking Dead will be the final season for Lincoln.